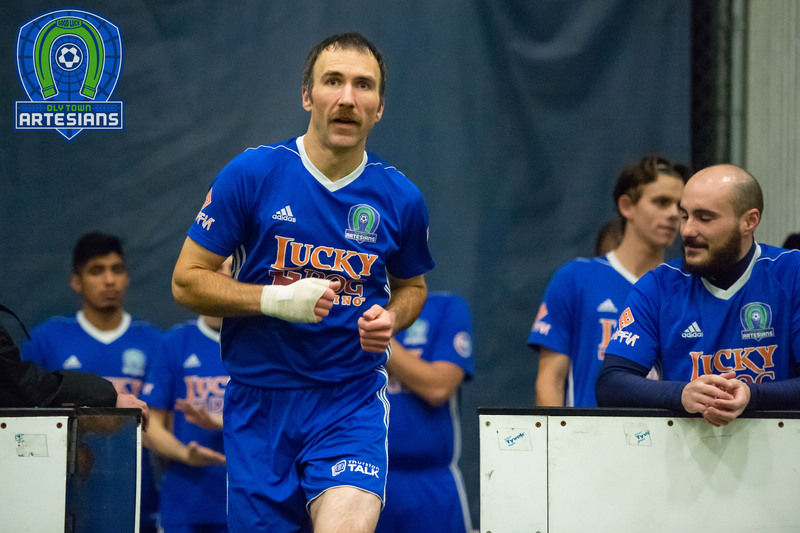 BREMERTON, Wash. – Needing a win in the regular season finale to make the playoffs and keep their season alive, the Oly Town Artesians, behind goalkeeper JJ Olson and a stellar defensive effort, upset the Olympic Force 8-7 at the Olympic Soccer Center in Bremerton. 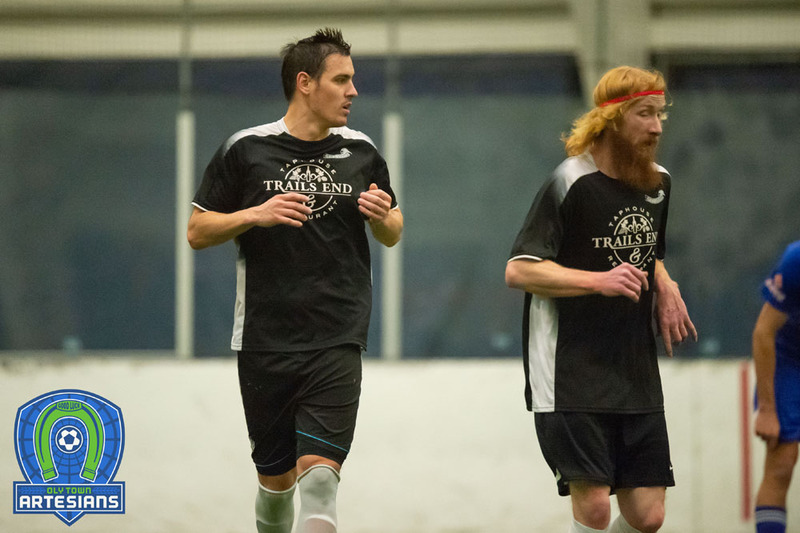 Crisanto Chavez scored a pair of goals and Willie Spurr scored once and chipped in three assists for Oly Town, who secured the #3 seed in the Western Indoor Soccer League with the win. Willie Spurr, a game time decision after missing last week with an injury, got the Artesians (4-5-1, 13 points) rolling early with a goal one minute into the game. Kevin Flavin evened things up for the Force (6-4-0, 18 points) at 1-1 at the two minute mark before Tom Kemennu finished a pass from Spurr just before the end of the quarter to give Oly Town a 2-1 lead. Quick goals by Victor Kelmel and Luis Enrique Hidalgo gave the Force a 3-2 lead early in the second quarter, but it would be their only lead on the evening. Gabriele Zaccagnini scored the equalizer at the 8:47 mark and Josh Dube gave the Artesians a 4-3 lead with 4:20 left in the half and took the one goal lead into the break. Jake Sanford hammered one home six minutes into the third and Crisantos Chavez gave the Artesians their largest lead of the night, 6-3, with a goal at the 3:40 mark. Gustavo Bermudez got one back for the Force just before the end of the quarter, and the third ended with the Artesians up, 6-4. Chavez scored his second goal of the night 45 seconds into the fourth to put the Artesians back up by three goals, 7-4. But Olympic chipped away with a goal by Chuy Sanchez at the 11:50 mark and a power play goal by Hidalgo with 5:10 left. Jamie Barnwell then snapped a streak of 15 straight power play kills by the Force with what proved to be the game winning goal with 2:55 left. JJ Olson came up with the biggest save of the season on a penalty shot that was awarded to Olympic following a trip on a breakaway by Sanford. 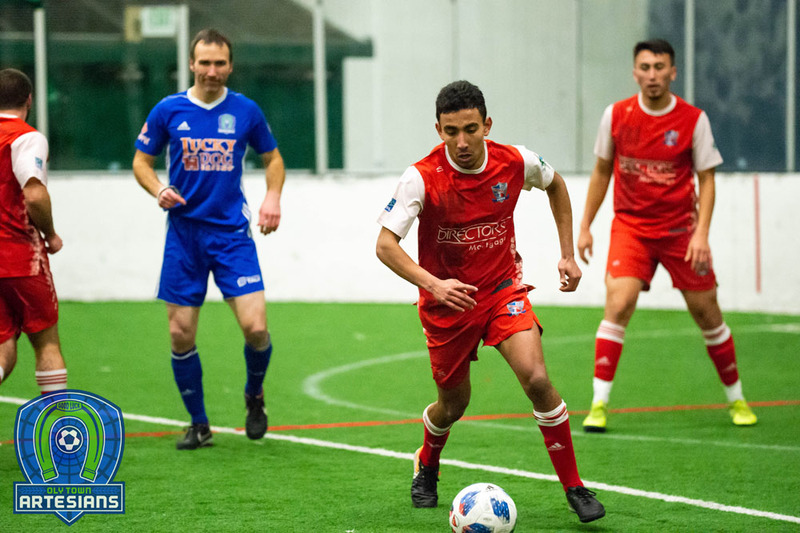 Olympic would score a power play goal with an extra attacker a minute later, but it didn’t leave them enough time for too many more chances and the Artesians held on for and 8-7 win and a spot in the WISL playoffs. The Artesians finished the regular season in third place, behind Bellingham United and Olympic. Snohomish claimed the fourth spot with a 4-4 draw with Tacoma. 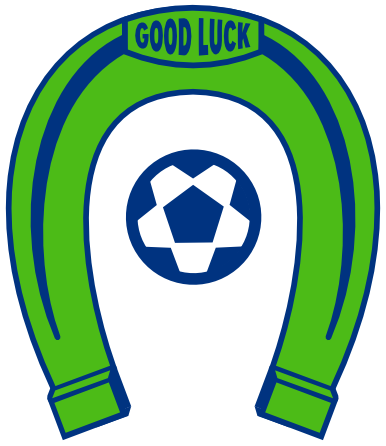 The Artesians make a return trip to Bremerton next week to face the Force in the semifinals. First kick is scheduled for 7:00 PM.